Diplomate in The American Board of Cardiothoracic Surgery, USA, Diplomate in The American Board of Surgery, U.S.A. , M.B.B.S. Dr. Naresh Trehan is the Chairman and Managing Director of Medanta (The Medicity). 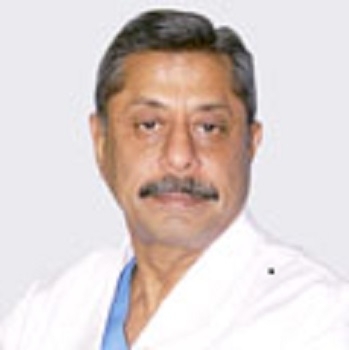 Dr. Naresh Trehan is regarded as one of the best Cardiac surgeons in Gurgaon. Dr. Trehan is a world-renowned cardiovascular and cardiothoracic surgeon and has been awarded the highly prestigious Padma Bhushan and the Padma Shri by the Government of India. Dr. Trehan has done over 48,000 successful open-heart surgeries and is the driving force behind the one-of-its-kind hospital. Dr Naresh is one of the best Cardiac surgeons in Gurgaon, Delhi and has an experience of over 40 years in the field.